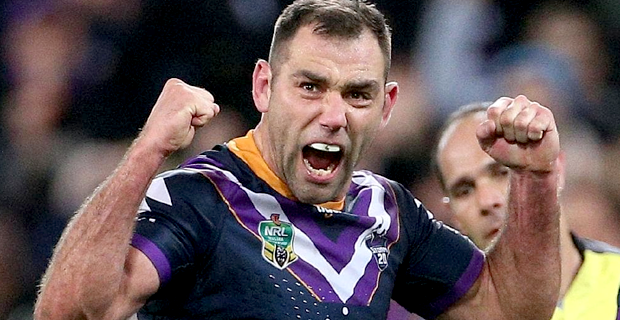 Melbourne Storm great Cameron Smith has become the highest point scorer in the history of the game as Melbourne made it five wins in a row with a hard‑fought 18‑12 victory over North Queensland Cowboys in Townsville last night. The Melbourne skipper landed a penalty goal in the 49th minute of the match to take his career tally to 2420 points, surpassing the previous mark of 2418 held by Bulldogs legend Hazem El Masri. In other matches, the Titans beat the Panthers 30-24 while the West Tigers outclassed the Broncos 22-16. In today’s matches, Rabbitohs will take on the Warrior at 5pm, the Knights will take on the Sea Eagles at 7.30pm while the Sharks will play the Roosters at 9.45pm.